Featuring fresh sea and magnesium salts, this exfoliating body balm gently polishes and smooths the skin, encouraging cell renewal and activating micro-circulation to relieve muscle fatigue. Enriched with Atlantic kelp extract and microalgae oil, it delivers a rich dose of the ocean’s essential minerals and replenishes skin, leaving it detoxified, relaxed and silky-soft. 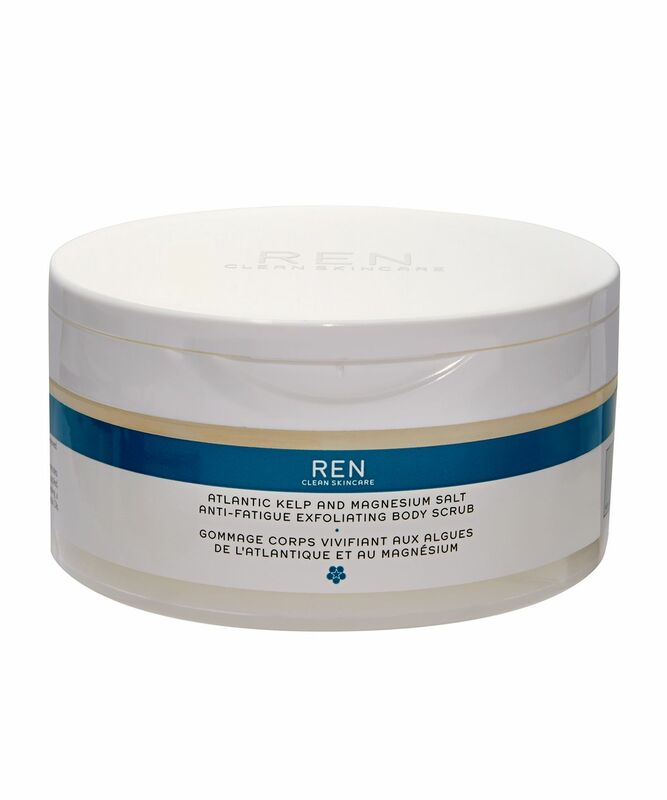 To revitalise your skin and relieve hardworking muscles, REN CLEAN SKINCARE’s Atlantic Kelp and Magnesium Anti-Fatigue Body Scrub harnesses the powerful, mineral-rich goodness of the sea and combines it with the de-stressing benefits of essential oils. Featuring fresh sea and magnesium (Epsom) salts, this bountiful body balm gently polishes and smooths the skin, exfoliating to encourage natural cell renewal and help activate micro-circulation to relax fatigued limbs. 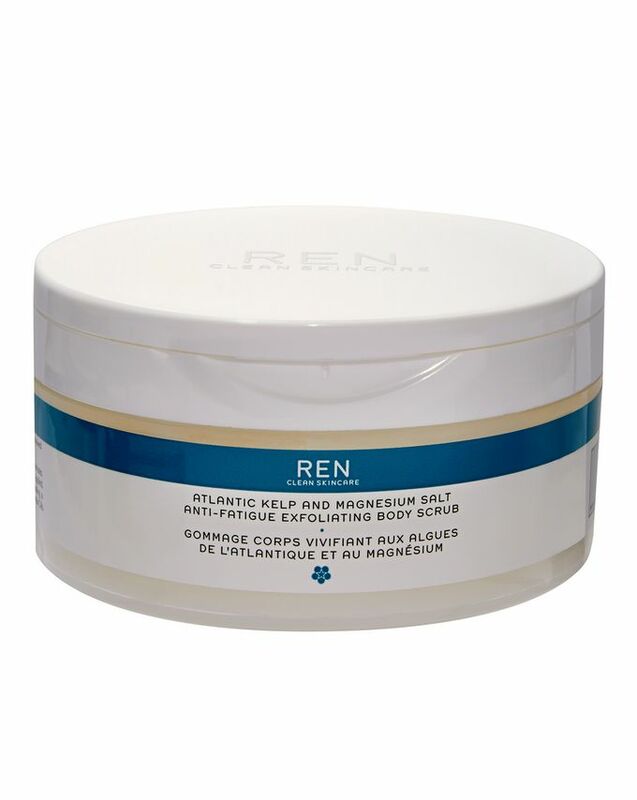 Also enriched with Atlantic kelp extract and microalgae oil, the formula imparts much-needed moisture and nourishing marine minerals, while REN’s anti-fatigue essential oil (including rosemary and geranium oils) blend soothes and de-stresses body and mind. Massage into dry skin to reveal a balanced, detoxified and silky-smooth body, or – for the ultimate treat – apply then submerge in a warm bath, allowing the oils and salts to diffuse into a luxurious bath soak. Massage on to clean, dry skin in a circular motion for a few minutes. Rinse thoroughly in the shower. For the ultimate treatment, once applied, submerge in a warm bath. Allow the oils and salts to diffuse, revealing a luxurious Magnesium bath soak, with REN’s Anti-Fatigue blend of Essential Oils. None of REN’s products contains ingredients at levels which should cause concern during pregnancy or while trying to get pregnant. However, certain products contain ingredients such as essential oils that some women choose to avoid entirely during pregnancy. If you have any concerns at all we advise you to consult your GP or pharmacist and show them the ingredient list before using the product. This scrub is very thick and you have to be wet to spread well on the body. The exfoliating granules are tiny and gentle though and dissolve easily under water. It does not hydrate much but also it does not leave the skin dry. Smells like roses but in a way that Jurlique products smell. Overall it is a nice scrub but it doesn't worth the hype.